My cat doesn't purr, Thomasina. Does that mean she doesn't like me? To be honest, I don't purr either. Maybe your cat doesn't purr, but I'll bet she lets you know she loves you in other ways. Some of us just show affection differently. Our human can tell I love her by the look in my eyes and by the way I press my head into her hand when she touches me. 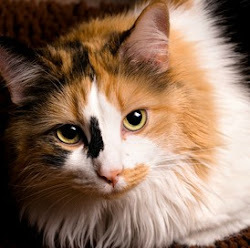 Your cat might also show how much she loves you by rubbing against your hands, your face or your legs or kneading. When you think about it, purring is a lot of work. And that might be one reason why your cat doesn't purr. To make that sound that humans love so much, a special set of muscles causes our vocal chords to vibrate, Or at least that's one theory. My human typist did some research and discovered that no one knows for sure how cats purr. Here are four more reasons that could explain why your cat doesn't purr. But keep in mind that these are human theories, too. Only your cat knows for sure why she doesn't purr. Maybe your cat does purr, but you can't hear her. Some cats have a very quiet purr. You can tell if she's purring by putting your hand against her throat. If you feel a vibration, she's purring. Some humans think feral mothers teach their kittens to not purr so they won't attract predators. Another theory is that kittens who are separated from their mothers too soon don't purr because their mothers didn't have an opportunity to teach them how. Maybe your cat doesn't purr because she just doesn't feel like it. For some cats (like me), body language is the preferred means of communication. Did you know this? We don't just purr when we're happy. We also purr when we're not feeling well or are in pain. And some cats purr when they want food. Although I understand why your cat doesn't purr, I hope you have another one who does because purring is as good for humans as it is for cats. The power of the purr is really quite amazing when you think about it. 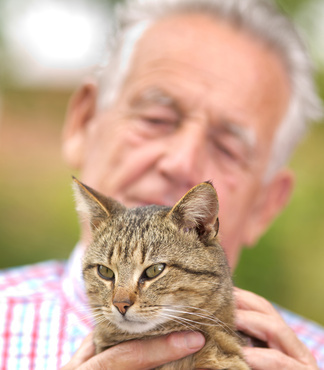 For humans, being with a purring cat can relieve stress and lower blood pressure. The vibration frequency of purrs can also speed up healing, reduce swelling and provide relief from pain. Speaking of humans, I have to stop writing and get on my way. Ours is feeling neglected, and I need to go rub around her legs. That's one of the ways she knows how much I love her.